I have never posted on here before but do so on a Rugby forum. 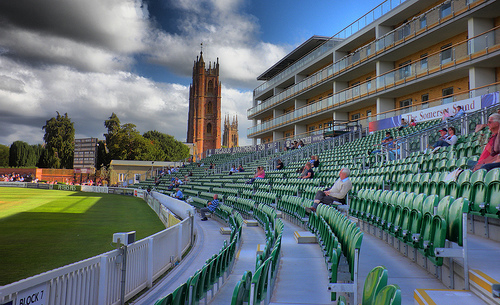 As a very long term Somerset supporter, probably 50+ years, I really do have concerns for the future. It's highly probable we will be relegated this week and will the young talent come up trumps in lifting us out of Div 2 next season. The batting line up really does look fragile and surely it's necessary to recruit at least 2 proven batsmen, would they really want Div 2 though? Unless promotion is achieved next season I can only see us remaining in Div 2 for many years to come. In terms of limited overs cricket I do think we were extremely lucky to qualify for both 1/4 finals really, especially T20. Again reinforcements are necessary in the form of 2 star overseas players available for all limited over games. From what I see it's about time there is a overhaul of staff at the club as some people are simply not delivering the goods consistently and I think we all know who they are. So given we have some good youngsters signed up give them a chance in all forms of cricket, at the very least to build their confidence. Let's get out there and fill the gaps where there are known weakness rather than floundering towards an uncertain future. Well one non-performer, Mr Allenby, is to be expunged...we know that. Completely agree about the batting. Hello Toby thanks for this. I wonder what is your reasoning that "It's highly probable we will be relegated this week"? The weather looks ok and certainly for the first 2 days from detailed forecasts. 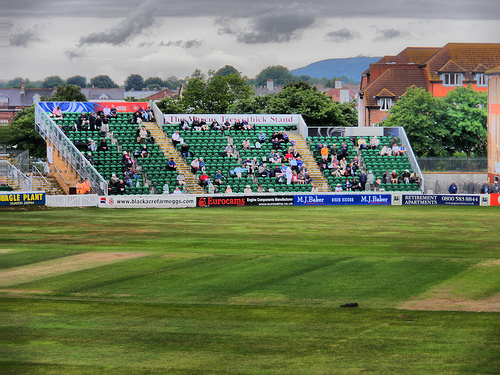 Somerset has home advantage for pitch preparation and it will be a result one. Middlesex will be understrength. Many of our batsman have some decent scores recently. Craig and Jack will be destructive with a view to the Ashes selection meeting on Tuesday. We have been playing under this type of pressure for a while now and are used to it. 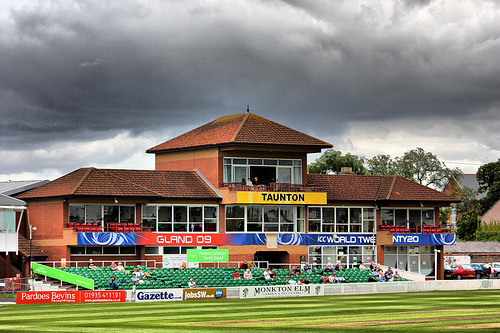 The Somerset fans will be particularly vocal. Is there any factor or Middlesex tactic that will cost us this game? Perhaps it may just turn out to be bad luck in that any one of the sides at risk will go down. 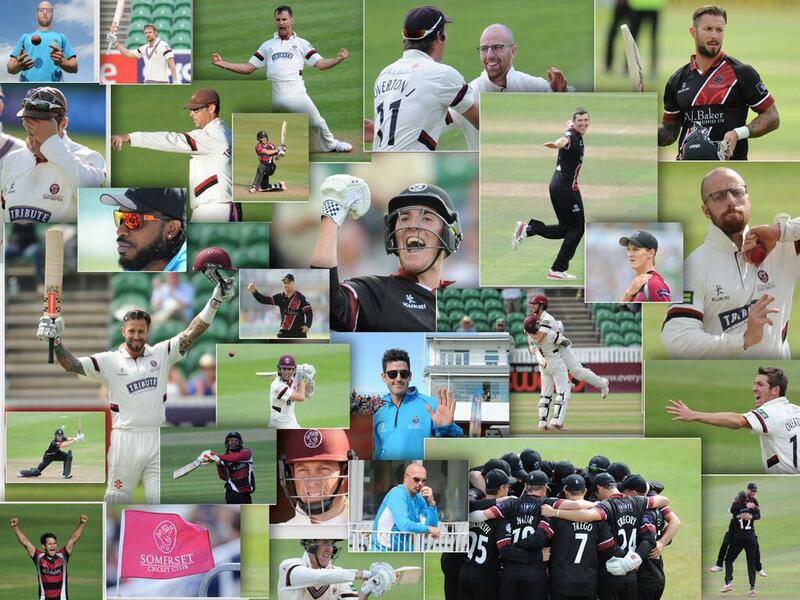 Either way we haven't done a Warwickshire and a more measured Somerset response would be for the squad to evolve as having had an indifferent season instead. It's not been a great season but we can make a real fist of it in the next few days and save ourselves. It won't be easy but it can be done. If we do go down, then I think we will do ok in Division Two. Again, it won't be easy, but with some of our bowling options finally fit we should be fine. Personally, and I don't know the ins and outs of the situation, my concern this season has mainly been what is happening in the boardroom. Our CEO leaving mid Summer to go to Lords was a surprise and it seems we have gone for a non-cricketing cheap option to replace him. This might be for another day, maybe after we have got through this week! I can;t comment on the qualities of Cooper in comparison with those of Lavender, but his cricketing pedigree and Somerset links appear to be stronger. IF Somerset are relegated - and it's still an if, although the better cards are held by Middlesex for whom a draw will do - a return to div 1 a year later could I fear prove tricky. Division 2 opponents will include Durham, no longer hindered by a points penalty, and Warwickshire, reinforced by Ashley Giles' shopping spree. 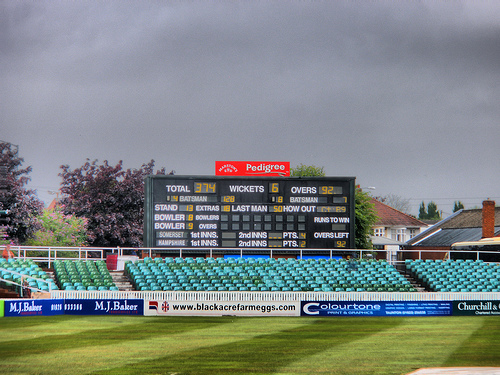 There is a chance that Nottinghamshire, all but unbeatable for three quarters of the season, may fail to be promoted too. Add in the fixtures lottery that is now a feature of the second division (you play four of the nine other teams just once) and promotion is far from a certainty. I remember when Sussex were relegated - virtually every pundit out there predicted they would come straight back up. They will start their third season in division 2 next year. I cannot say that Ashley Giles' shopping spree has impressed me even remotely. I can't really believe that we should be worried about the likes of Sibley and Rhodes and for all that it would have been nice to keep him, Mr Hose is still all but entirely unproven in red ball cricket. Durham have been rapidly reduced by CC1 counties preying on their players - and that's the issue that we potentially face and that would stop us being promoted straight back up again. If we keep our spinners, I'd envision them having a field day vs CC2 batsmen. I think CC2 batsmen are entirely incapable of coping with the kind of disciplined attack that we field. Nottinghamshire are pretty much the same side that sunk without trace from CC1 last season, so they are also nothing to fear in their current state. A good point about Sussex Bagpuss. I can't comprehend how some of those who post on this site, who have been following cricket for decades in some cases, have failed to understand that cricket is unpredictable. A few years back Lancashire won the CC. They were favourites to do it again the next year. What happened? They went down. Bell, an England stalwart, goes out to face an 18 year old off spinner in only his second 1st class match. Bell pushes at the first ball and is out. Explanations on a postcard please. Essex are promoted to Div.1. I would hazard a guess that their supporters and most cricket fans would have predicted mid-table respectability at best. They've won 9 of their 13 matches. And when Dilley went out to join Botham at Headingley you couldn't get odds on an England win. One could go on and still some are looking for explanations for the collective failure of our senior batsmen this year. I'm afraid, chaps, that it's inexplicable. Maynard doesn't know, Rogers doesn't know, the players themselves don't know and, sure as God made little fishes, nobody posting on this site knows. These things happen. Let's just enjoy the cricket. There is no place for such common sense on this site, Angell Face. It may be that nothing about cricket is predictable, save that AGod will post between now and lunchtime. Not good enough to shrug shoulders about appalling batting and leave it at that. As for CC2, in general it's a league that can be won quite easily by any team that has some very good players and is well motivated and directed, IMO. When last we won it, we were certainly well motivated and directed and we went through the division like a dose of salts. 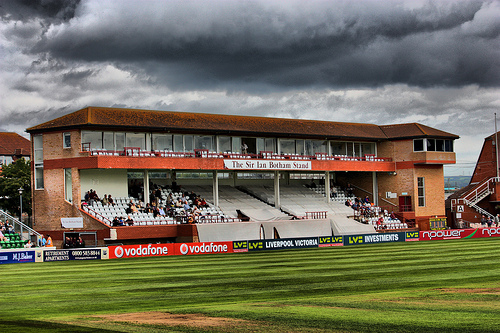 We also had some very good players in the likes of Trescothick, Langer, Caddick and Willoughby. So long as we don't lose our bowlers to CC1 predators next season, then the same will obtain on the bowling front next season. Admittedly, the batting may be a different matter unless we are able to strengthen on that front. Predictably, a very good post, AF.